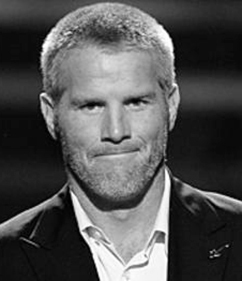 Brett Favre started four years as quarterback at Southern Mississippi before he was drafted in the second round (33rd overall) by the Atlanta Falcons in the 1991 NFL Draft. Favre saw little action as a rookie and was traded to the Green Bay Packers the following season in exchange for a first round pick. An injury to the Packers’ incumbent starter Don Majikowski in Week 3 immediately thrust Favre into action. From that point, he embarked on a career in which he rewrote the NFL’s record book during his 20-year career. Favre led the Packers to a 9-7 record in 1992, only the team’s second winning season in ten years. He also logged 3,227 yards passing, the first of 18 straight seasons in which he reached the 3000-yard plateau (an NFL record) and exceeded 4,000 yards in six of those seasons. After his breakout campaign, Favre was awarded the first of 11 Pro Bowl selections. The following year, Favre lead the Packers to another 9-7 record, but this time the team earned a Wild Card berth in the playoffs, the first postseason appearance for Green Bay (excluding the strike-shortened 1982 season) since 1972. More successes were to come. In 1995, Favre began a three-year stint in which he led the Packers to three straight NFC championship games which resulted in two Super Bowl appearances, including a victory in Super Bowl XXXI. He passed for a career-high 4,413 yards in 1995, but Green Bay fell to the Dallas Cowboys in the NFC championship game. His efforts that season earned him the first of three straight NFL Most Valuable Player awards. Favre led the league in touchdown passes for the second of three consecutive seasons in 1996 as he guided the Packers to a 35-21 victory over the New England Patriots in Super Bowl XXXI. It was the first championship for Green Bay since Super Bowl II. Favre and the Packers nearly repeated as Super Bowl winners but narrowly lost to the Denver Broncos in Super Bowl XXXII. Favre’s passing prowess continued at a record pace through the years, and by the end of 2007, his last year in Green Bay, he had supplanted Hall of Fame quarterback Dan Marino as the career passing leader in attempts, completions, yards, and touchdowns. He played three more seasons with the New York Jets (2008) and the Minnesota Vikings (2009-2010). The 2009 season was one of his finest as he threw for 4,202 and registered a career-high 107.2 passer rating while leading the Vikings to an appearance in the NFC title game. Favre, an NFL ironman who played in a record 299 consecutive games, posted totals of 6,300 completions, 10,169 attempts, 71,838 yards, and 508 touchdowns in his 302-game NFL career.